Donors help save lives and attract new doctors to Chatham-Kent. This leads to better outcomes for patients and families. Significant provincial funding constraints and rising demands in patient care needs have stretched our hospital beyond its capacity and yet CKHA has remained steadfast in its goal to lead positive change and that together, we can grow Chatham-Kent into a healthier community. Our passionate donors and volunteers want to be part of that change and know that every gift matters. Donors help reunite patients with their loved ones sooner. Their support helps safely deliver babies into the world. They help inspire and fund programs in the community that provide assistance to people who need help to get back on their feet. They purchase life-saving technology and equipment. 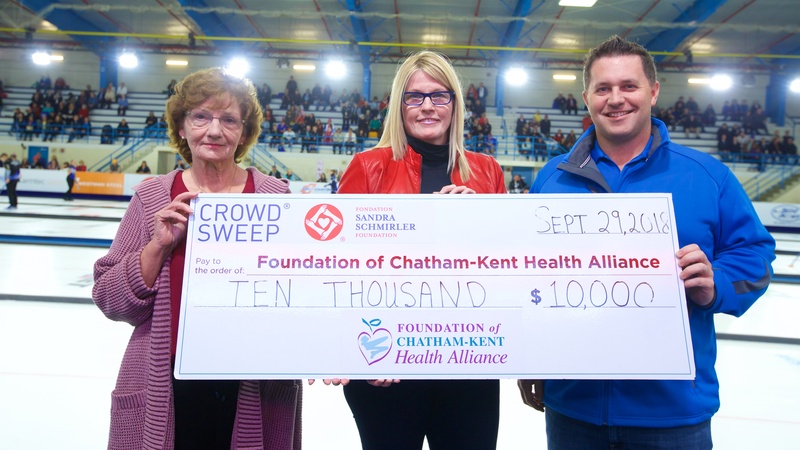 Most importantly, the generous support of donors through Chatham-Kent Health Alliance Foundation helps save lives. Donors give in many ways. People from communities across Chatham-Kent – as well as physicians and staff from CKHA – give hundreds of volunteer hours, organize and attend Community Events,, and join us for the Parade of Chefs, Pro-Am Golf Tournament and Charity Curling Classic. They also give donations of all sizes, make monthly pledges, give through their place of business, or make a Legacy Gift through their Will. There’s still so much more to do. There is better and more modern equipment being made available to improve patient outcomes, and front-line staff in need of resources that can only be made possible by donor gifts.